While living in Spain, Paul Atkins became enamored with the picturesque pedaling culture in Europe. He was so inspired that when he returned to the U.S., he decided to hand-build his own cruisers. After an apprenticeship, he launched Royal Tour Bicycles last summer. From his studio at the Goat Farm, he fillet brazes the frame with melted brass, which looks more elegant than welding but takes days versus hours. “It’s not the most convenient, but it’s more beautiful,” he says. His three-speed bikes also boast downtube shifters, wood fenders and grips, brass pedals, and powder-coated colors like marsala and mint. 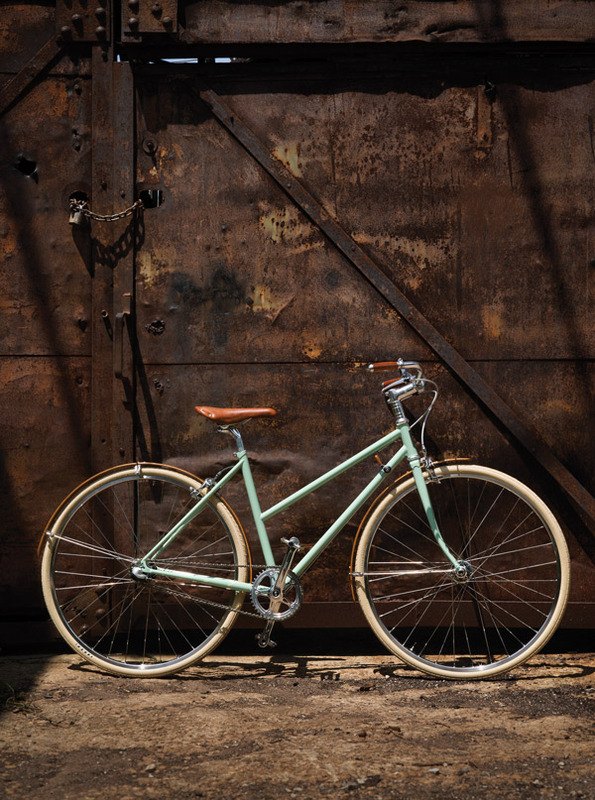 Royal Tour Bicycles are available online or at Peachtree Bikes.